In 2018, apart from the achievement of welcoming 15 million international visitors, Vietnam tourism also makes domestic and international media mention many times because of the appearance of unprecedented impressive works. No tourism project in Vietnam has shocked the tourism and international media like the Golden Bridge of Ba Na Hills (Da Nang) Sun World resort in 2018. 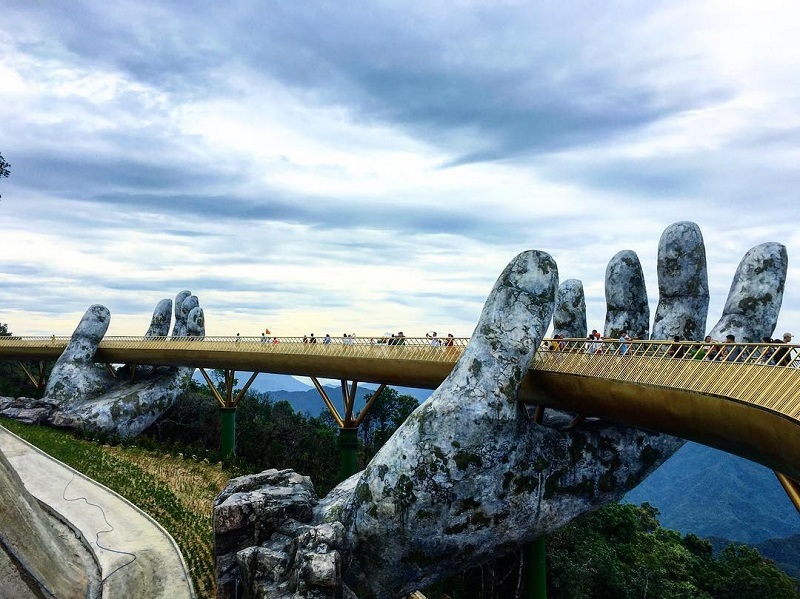 Launched in June, 2018, Golden Bridge immediately received the special attention of tourists and the media because its unique design is like a shiny golden strip of silk in the middle of the sky, supported by the giant moss hand growing from the mountain . In the following months, Golden Bridge continuously appeared on the world's leading well-known channels such as CNN, BBC, Telegraph, New York Times, AFP, Huffington Post, Independent ... International newspapers are all for The most affectionate praises, see this as a unique, unprecedented bridge in the world. The bridge is also suddenly placed in the Top 100 most wonderful destinations in the world voted by The Time, and is the only place in Vietnam to be listed in the list of 124 most impressive tourist photos about people and activities. Tour of 2018 by CNN. Only one month after the Golden Bridge was launched, the number of visitors to Danang increased 107.5% over the previous month and 119.7% over the same period in 2017. Officially put into operation on December 30, 2008, Van Don International Port is invested by Sun Group under BOT form, which is considered a key tourism infrastructure not only of Quang Ninh but also of the whole country. The architecture of the airport not only bears the distinctive cultural imprint of Ha Long Bay but also is environmentally friendly, with cool green spaces, miniatures, Koi fish ponds ... arranged alternately in and out airport terminal area. 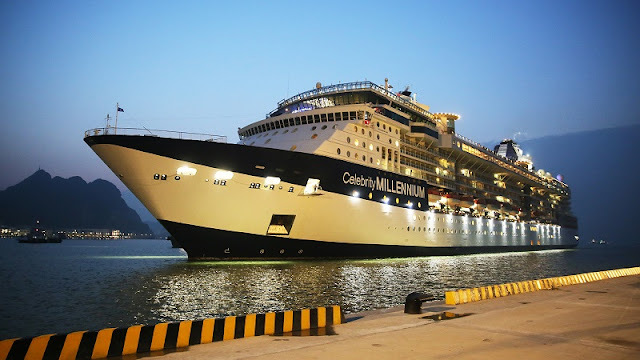 After many years of waiting and waiting, Vietnam finally had the first specialized international tourist ship port in Ha Long, ending the situation of tourists going to Quang Ninh to go to the wharf or increase the boat to get to the shore. Officially put into operation from December 30, 2008, Ha Long International Tourist Harbor is capable of receiving the largest ships with a capacity of up to 225,000 GRT, with a total number of up to 8,460 (including both passengers and crew), serving 2 vessels at the same time. This is another product of Sun Group, located in the center of Ha Long City, adjacent to the entertainment complex Sun World Halong Complex - which welcomes thousands of international tourists each year.